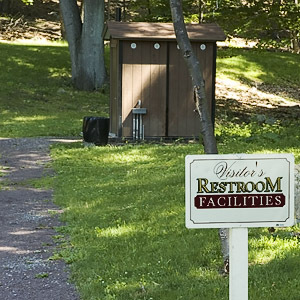 Take the Camp Smith Trail (blue blazes) which starts just near the restroom by the toll house (north of the parking area) north for approximately 3.2 miles. Just after the summit on Anthony's Nose a left leads to a panoramic view of the Bear Mountain Bridge, Bear Mountain-Harriman State Park and the Hudson River. This is also the turnaround point for the hike. Retrace your steps back to the parking area. Alternative #1: Leave a car at a parking area about 1.9 miles north of the starting point to create various shorter alternatives. 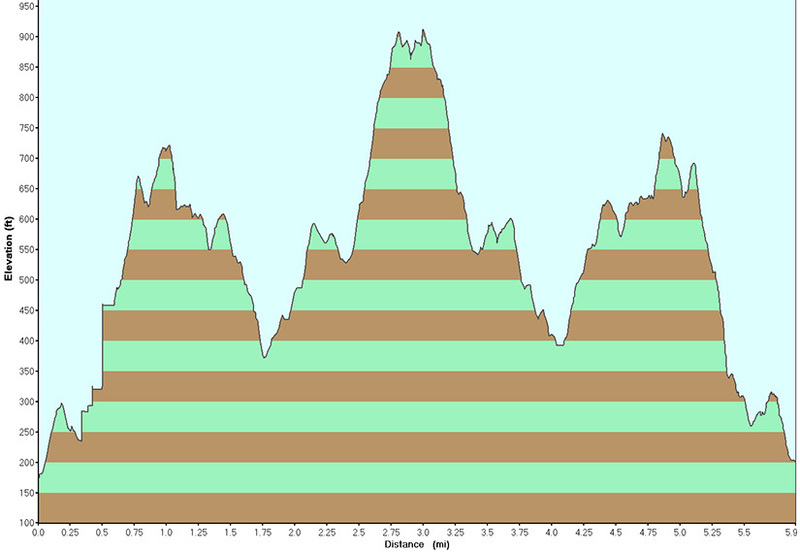 Alternative #2: Leave a car parked on the east side of Route 9W North next to the Appalachian Trail (white blazes) to create a one way hike and other alternatives. Note / Caution: The Camp Smith Trail's trail markings (blazes) are decent / satisfactory but rarely any better and sometimes worse. 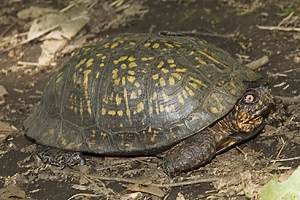 Combined with their color, they are not always the easiest to spot. From NYC take the George Washington Bridge to the Palisades Interstate Parkway (going north). 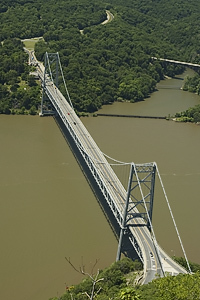 Take the Palisades Interstate Parkway for about 40 miles until its end at the Bear Mountain Bridge. 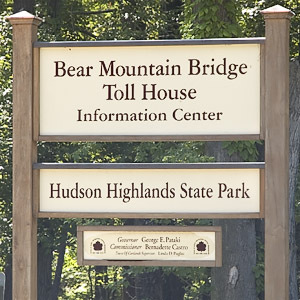 Cross the Bear Mountain Bridge and make a right onto Route 6 / 202 (south). 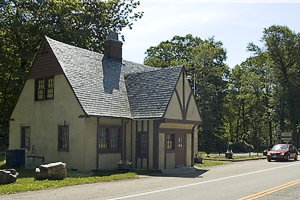 Take Route 6 south for 2.6 miles and park in the parking lot of the Bear Mountain Bridge Toll House on the left (northbound) side of Route 6 (GPS: N 41.301154, W 073.95121). The total driving time is estimated at one hour without traffic. 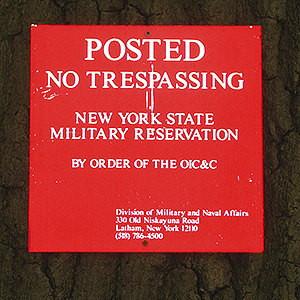 Copyright © 2009-2012 Michael Brochstein. All rights reserved.